This Warrior Goddess Retreat, brings together potent tools of rites of passage, ritual, and Toltec wisdom. Over the course of the weekend we will catalyze a foundational rewiring so we can reclaim our creativity and joy through playing with what is possible. Join us in Glen Rose, Texas for this fabulous weekend of deep, intuitive play time and ritual medicine! Join us for a weekend of playing with what is possible! Investment? $222* if registered before September 15th. Need a payment plan? Two payments of $111 are available until August 30th! The retreat begins October 20th at 2PM and we’ll wrap up by October 21st at 2PM. You will be able to pack up your things and get ready to leave between 2 and 4PM on Sunday, taking as much time as you need to gather your items and/or wander the land. Tent camping site included with registration. You’ll have to provide your own tent and other camping gear. We have a beautiful space available on the ranch and are so excited to share it with you! We will share three nourishing meals (Saturday dinner, and both breakfast and lunch on Sunday all create by our Kitchen Witch, Sarina). We will also have a variety of nourishing snacks available 24/7 to meet all dietary needs. 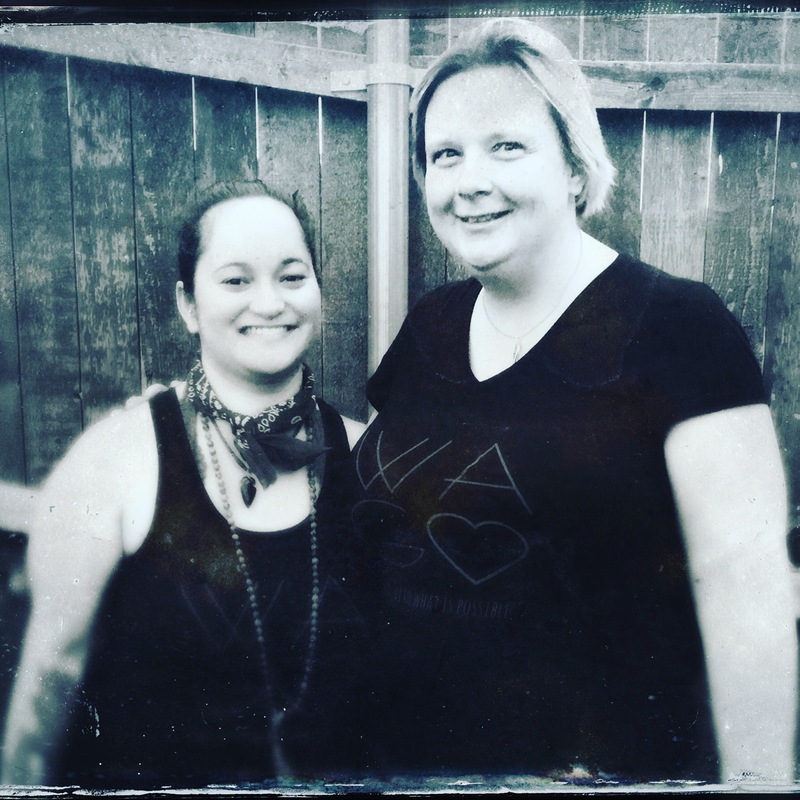 Sarina Harz and Tara Sol are Certified Firewalk Instructors and Empowerment Coaches through the Sundoor International Firewalking School for Transpersonal Education. We were trained by HeatherAsh Amara, bestselling author of Warrior Goddess Training and Master Firewalk Instructor. We travel with HeatherAsh as part of her firewalk support team and have tended fire for thousands of people. We have both walked on fire hundreds of times over the last four years and fire has been one of our greatest teachers.